Cocktail theme translations are maintained by the WordPress community. 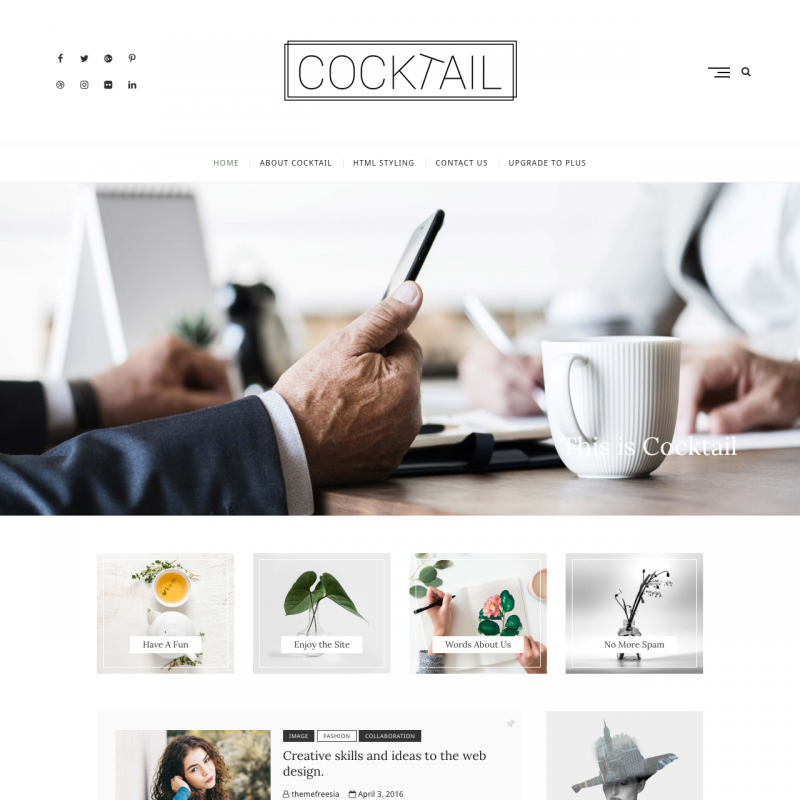 Cocktail is a clean WordPress theme for any blogs. 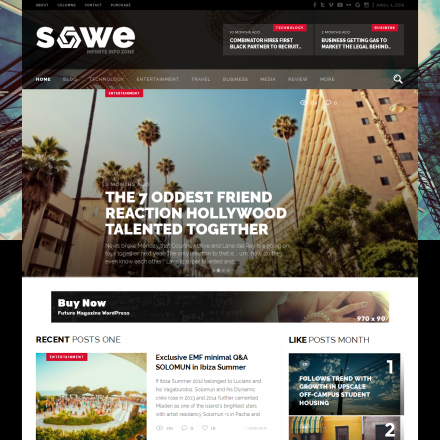 In the free version of the theme there are several widgetized areas. You can choose boxed or fullwidth layout, disable some features, such as sticky menu, scroll to top button and others. Custom background, logo and header image uploads are available. You can also upload a background image for the footer. Optionally, responsive layout can be disabled. 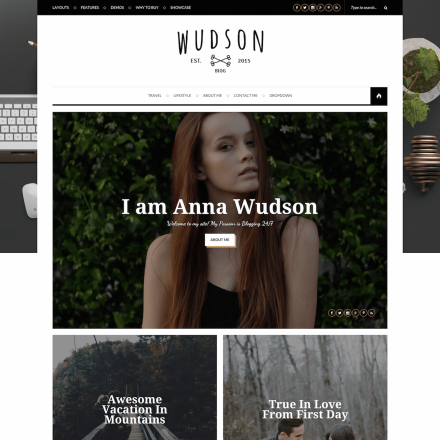 There are page templates for galleries and contact page.